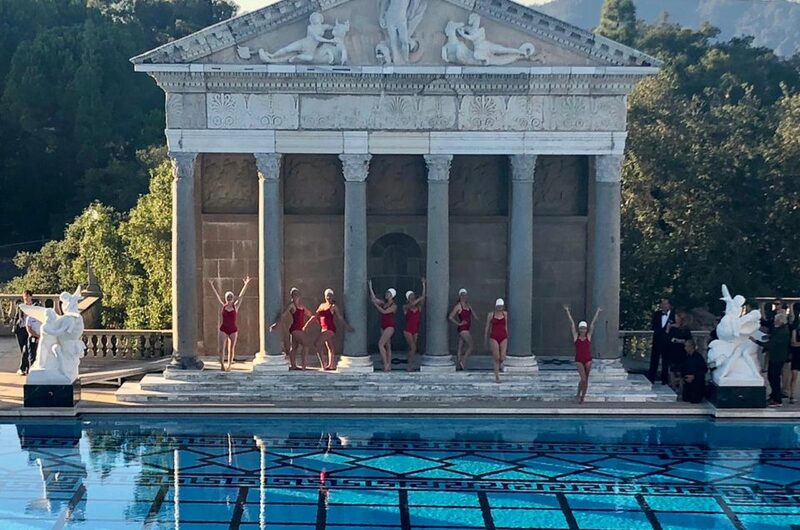 There is no greater celebration than a Bar or Bat Mitzvah and what better way to mark this important occasion than with a stunning synchronised swimming performance from Aquabatix. 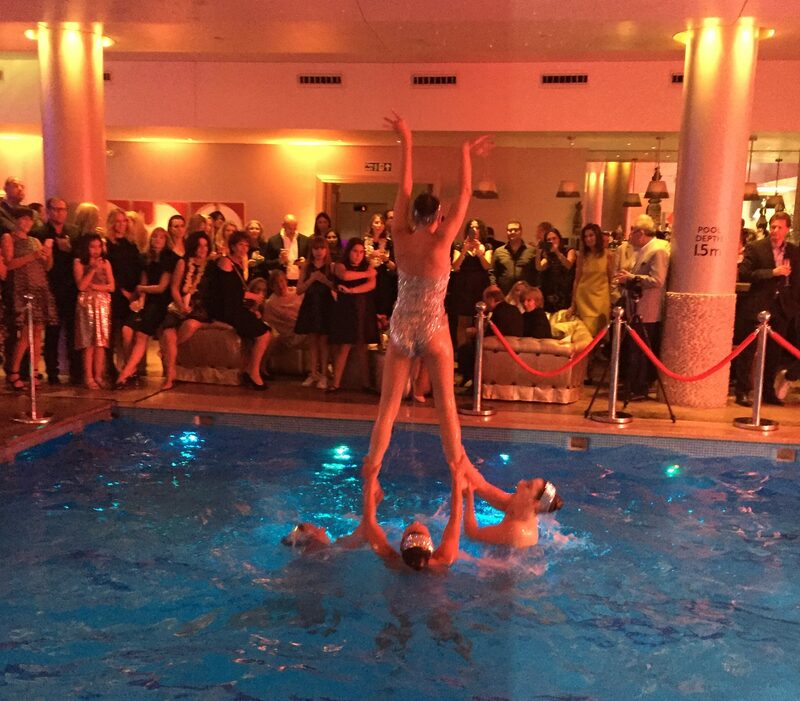 Returning to one of their favourite venues, the luxurious Haymarket Hotel, situated right in the heart of London’s theatre district, Aquabatix delighted over 150 guests with a surprise synchronised swimming performance to I Gotta Feeling by the Black Eyed Peas. The swimming pool and bar had been expertly transformed into a tropical paradise by the creative genius of Orchid Events. With the need for a large dance floor and so many elements involved in the entertainment for the Bat Mitzvah party, half the swimming pool was covered leaving a ten metre by six metre space for the synchronised swimmers to perform. The brief for the show was to create a party atmosphere by providing a highly energetic and flawless routine that would make all the guests want to get up and dance. 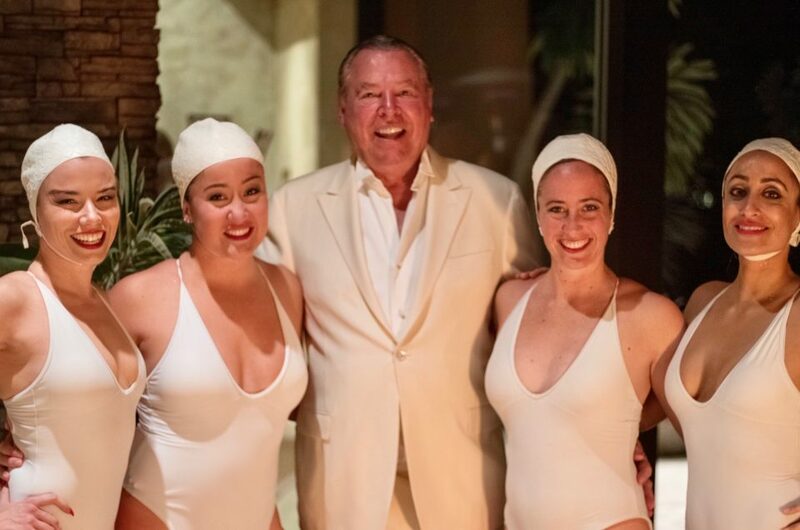 Accepting the challenge of kick starting the Bat Mitzvah party, the swimmers strutted down the stairs to the pool in their fully sequinned, silver swim suits and made the crowd stop and stare. Once the swimmers entered the swimming pool they expertly removed the beautifully lit, floating decorations from the surface of the water to make room for their performance. Starting as they meant to go on, Aquabatix hit the high notes with impressive lifts and somersaults out of the water, which charmed the crowd and set the mood for the rest of the party. On finishing the performance the guests gave a huge round of applause and starting sharing their photographs and video taken of the routine with their friends. The feedback received from the guests and client was very positive with the client saying they would love to work with Aquabatix again in the near future.